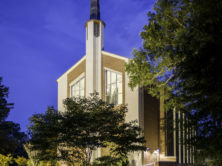 Edifice provided construction management services for the interior renovations to the existing sanctuary along with some exterior improvements totaling 25,000 square feet. Age, water damage, and being functionally obsolete required a redesign and restoration of the sanctuary. 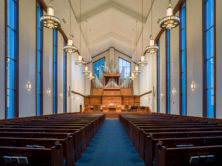 This project involved reversing the direction of the pew seating and turning the layout of the sanctuary 180 degrees to reduce pedestrian travel, adding a chapel, and reclaiming the previously unused narthex space – while maintaining a true reformed traditional architecture style. 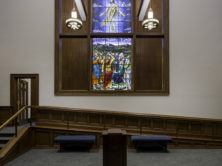 The work also included repairing the steeple, installing a new window system and lighting, a complete refresh of the paint and flooring and millwork.